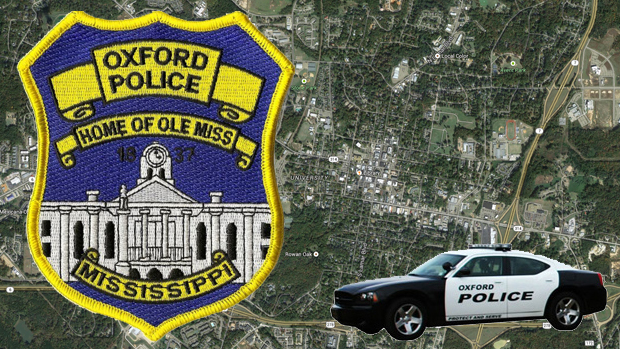 On August 2, 2017 officers with the Oxford Police Department responded to University Trails in reference to a male assaulting a female then kidnapping her and driving away. Once officers arrived on scene they were able to get the suspect’s vehicle description and tag from witnesses and one of the witnesses was able to identify the victim. Investigators with the Oxford Police Department and Lafayette County Sherriff’s Office arrived and information was quickly disseminated to other agencies. The suspect vehicle was found shortly after but the suspect who was identified as Alan Clay age 23 of Brooksville, Mississippi was not in the vehicle nor was the victim. Once investigators were able to get the victim’s tag number they put the information out and officers began to search the city and county for her vehicle. While officers were searching for the victim’s car an officer noticed a small tan car drive past where the suspect vehicle was located and the passenger resembled Alan Clay. A traffic stop was made on the vehicle and Mr. Clay was found in the passenger seat but the victim was not inside and neither Alan Clay nor the driver could tell us where she was at. Alan Clay was detained and brought to the station to be interviewed by investigators. Nearly an hour after Mr. Clay was stopped by officers, the victim was located with the assistance of the Marshall County Sheriff’s Office. Alan Clay was subsequently arrested for Kidnapping and his bond was set at $25,000.